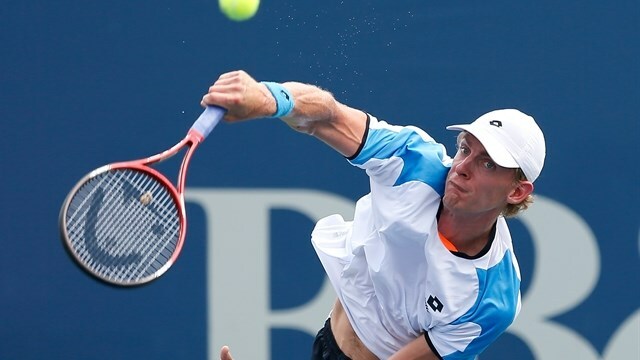 Sitting at 6’8, the third tallest player on the ATP Tour, Kevin Anderson not only seeks to avenge his 6-7 (3), 7-6 (2), 7-6 (2) finals loss to John Isner at the 2013 BB&T Atlanta Open this year but make a return to the top 10 following an injury plagued season. Anderson enters the 2016 tournament making his sixth appearance at the BB&T Atlanta Open. After being a semifinalist in 2010, quarterfinalist in 2011, and falling just short of the title in the 2013, the Johannesburg native looks to claim the very title that has eluded him for years at Atlantic Station. No stranger to the American limelight, Anderson came to the United States as South Africa’s No. 1 player after enrolling at University of Illinois. From 2005-2007, Anderson was able to capture the 2006 NCAA Division I doubles title with teammate Ryan Rowe, lead his team to the 2007 NCAA Division I Team Championship match, falling to Isner and the Georgia Bulldogs and be named a three-time All-American. Turning pro at the end of his junior year, the South African made his presence on the ATP World Tour known immediately. In the second round of the 2008 Miami Open, (formerly the Sony Ericsson Open) Anderson was drawn up against then world No. 3 and defending champion, Novak Djokovic. The heavily favored Serbian came out tough, but it would be Anderson who prevailed in the 7–6(1), 3–6, 6–4 upset. Later that year Anderson would team up with up with Swedish doubles specialist Robert Lindstedt on a quarterfinal run at Wimbledon before falling to eventual champs Daniel Nestor and Nenad Zimonjic, 7-6(5), 6-4, 6-7(5), 6-3. Anderson won his first ATP title at home during the 2011 South African Tennis Open, defeating former collegiate foe from the University of Virginia and 2007-08 NCAA Singles Champion Somdev Devvarman 4–6, 6–3, 6–2. Today, Anderson looks to continue his impressive play with a fourth career title and a return to the top 10. After enjoying a career high of 46 wins in 2015, the former collegiate star became the first South African in the ATP Top 10 since Wayne Ferreira in 1997 after advancing to first Grand Slam quarterfinal, defeating Andy Murray before falling to Stan Wawrinka. Anderson finished his 2015 season with 1,074 aces, joining Ivo Karlovic and John Isner as the first trio of players with 1,000 aces in the Open era.